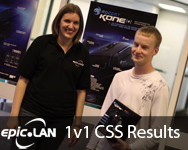 The prize for the winner is a Roccat Kone [+] mouse and the pride of being the epic.SEVEN 1v1 aim map champion. 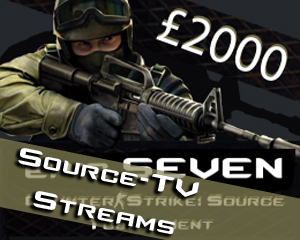 Thank you to all who took part and we shall see you later for the start of the 5v5 tournament. 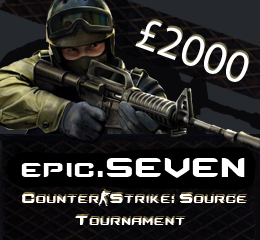 The epic.Team are proud to welcome you to epic.SEVEN here at Uttoxeter Race Course! Throughout the event we have plenty of activities and games to keep you going all the way through to Sunday. Keep an eye on the big screen for information of the big games and fun tournaments. We have put out handy maps that help you to find your way around the event, also it has lots of information on the reverse to keep you in the know during the event. If you cant see one you can see it here! In both halls we have the epic.SHOP available 24/7 for you to get those beverages and snacks to keep you going throught the event. For your main meals you might like to try the OM NOM NOM catering van located just by the main entrance. We hope you enjoy your event, and if you have any problems please come and see a member of the team in your hall's staff area. If you have any minor requests, then you can log a ticket right here on our intranet and a member of staff will get back to you as soon as possible. The official opening will take place at 8pm in the Hall 1 bar. See you there! 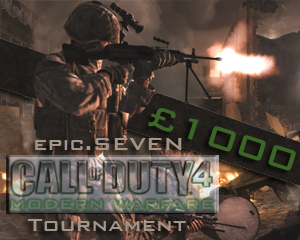 Team signups for the epic.SEVEN Call of Duty 4 Tournament are now open. 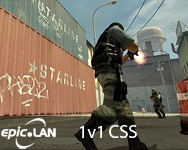 With 8 years of experience running LAN events epic.LAN is pleased to continue its return to organising professional LAN gaming tournaments after the sucess of epic.SIX Counter Strike: Source tournament which saw Rasta.Xd take victory over Link Gaming, expanding to bring COD4 back to Uttoxeter.